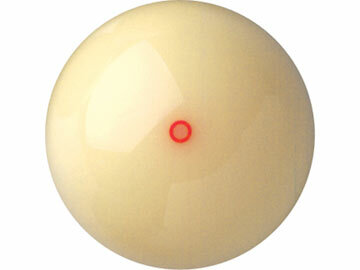 This Red Circle Cue Ball makes a great practice ball. The engraved red circle can be used as a target; after striking the ball, you can check the placement of your chalk mark with the position of the red circle to see if you hit the cue ball where you intended. Size- 2 1/4 inchesWeight- 6 Oz.